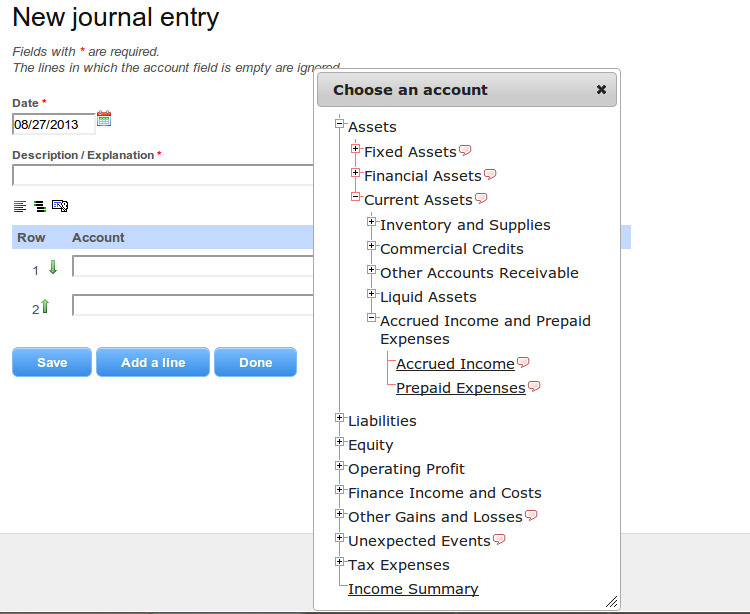 Version 1.0.13 of DELT is out, and with it the possibility of choosing an account in a tree view of the Chart of Accounts. To activate the tree view pop-up window, you just need to double-click on the account name field. 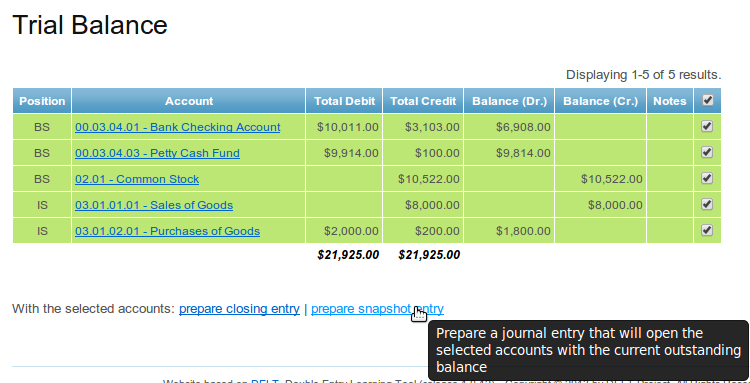 from the trial balance page, it is possible to select some accounts (or all of them, if you want), in order to prepare a journal entry to close them or to open them with the current outstanding balances. The last thing allows you to take a snapshot of your firm's current situation. And since forking a firm is so simple, you can open a second firm by just using the balances of the first. It is now possible to exclude some journal entries from all computations, more or less like when showing or hiding different layers in computer graphics programs. Since LearnDoubleEntry.org is a learning platform, this opens up the possibility to test different scenarios, or simply to prepare a journal entry to ask somebody help for. 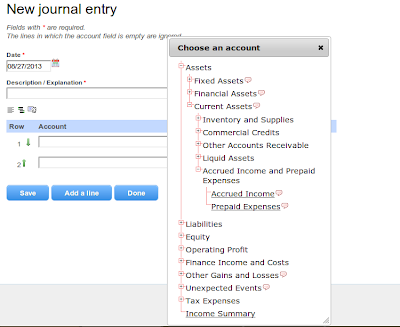 Excluded journal entries are listed in the journal in gray with a line-through decoration. 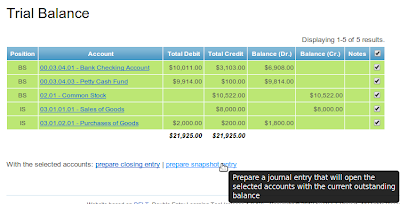 The amounts of the postings are not considered in the ledger, in the trial balance and in the financial statement.